History comes alive at the Tower of the London. From Traitors’ Gate to the Bloody Tower, within its stone walls echoes of the past are everywhere. Once home to kings and queens, lions and bears, its most famous residents are the ravens. Some say that if they leave, the kingdom will fall. In light of the ancient foretelling, six birds reside at all times. 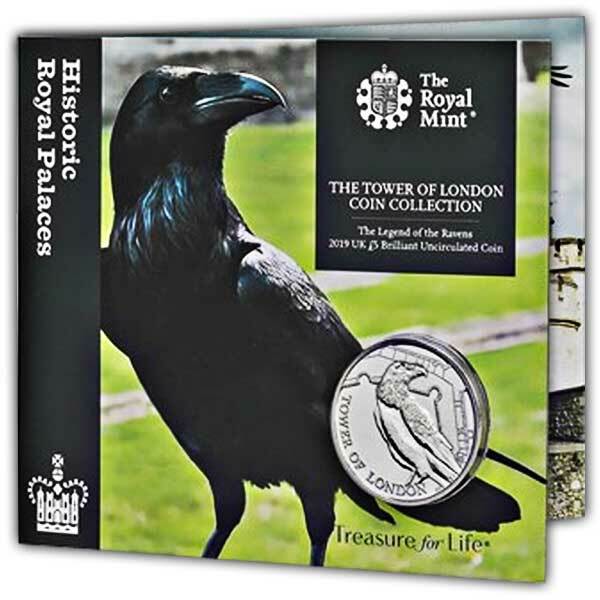 This is the first time this iconic attraction has been celebrated on UK coinage and these infamous Tower denizens have been brought to life on the first coin in the series. In this brand-new, original design, a single raven stares back at you, surrounded by the huge stone walls. 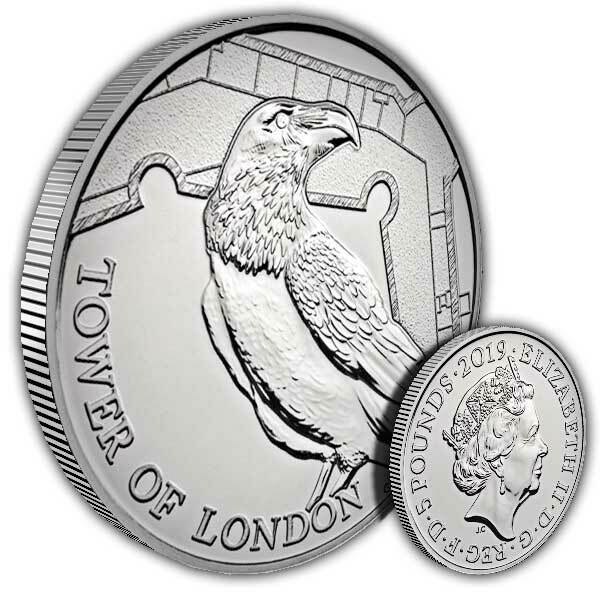 Struck to Brilliant Uncirculated standard, superior to the change in your pocket, you can build a collection of Tower-themed coins. Complete the set and house them in their own special holder.